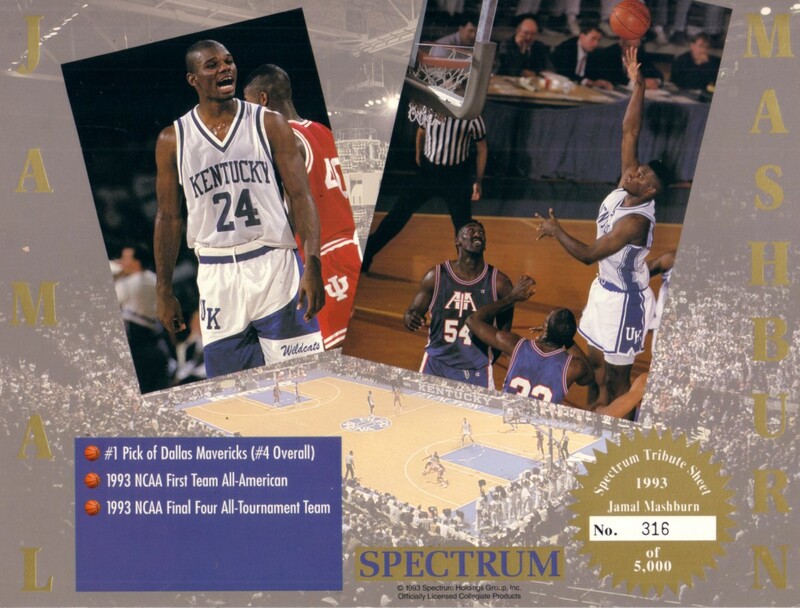 Tribute card sheet issued by Spectrum in 1993 featuring Kentucky Wildcats superstar Jamal Mashburn. Slightly larger than 8 by 10 inches. #516 in a limited edition of 5000. Has moderate flaws/wear. ONLY ONE AVAILABLE FOR SALE.